The GS-4210-24P2S brings an ideal, secure surveillance system at a lower total cost. 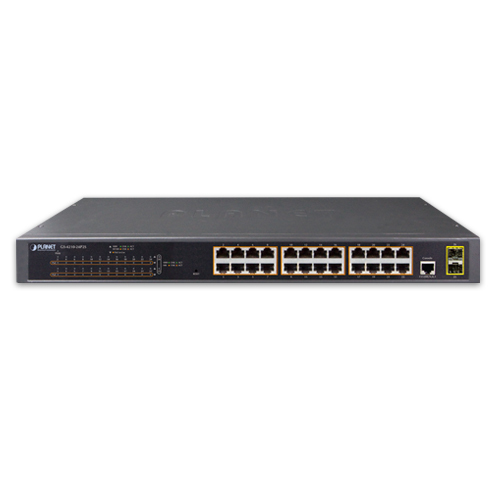 The GS-4210-24P2S provides 24 10/100/1000Mbps 802.3at PoE+ ports able to feed sufficient PoE power for 24 IEEE 802.3af / IEEE 802.3at PoE IP cameras at the same time. 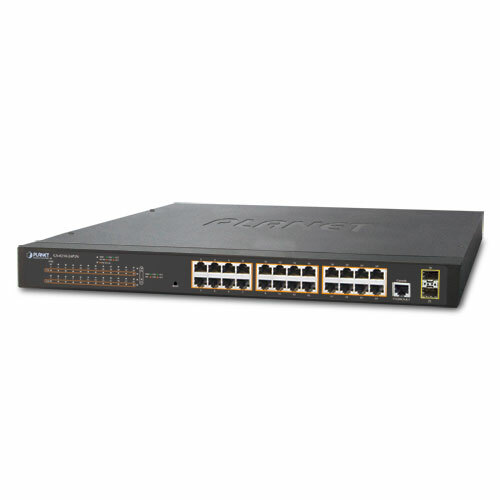 It is also able to connect with one 16-channel NVR or two 8-channel NVR systems, uplink to the backbone switch and the monitoring center. With such a high-performance switch architecture, the recorded video files from the PoE IP cameras can be saved in the NVR system to enable the administrators to control and monitor the surveillance images both in the local LAN and the remote sites.